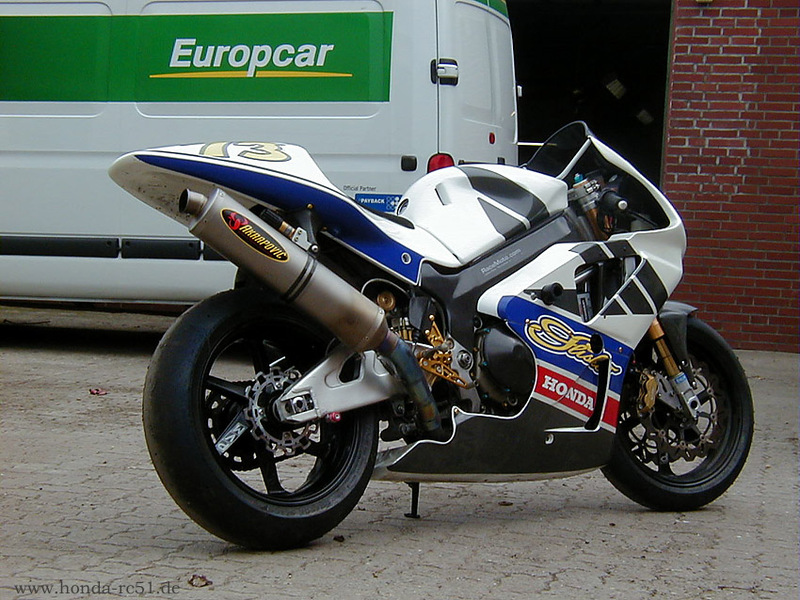 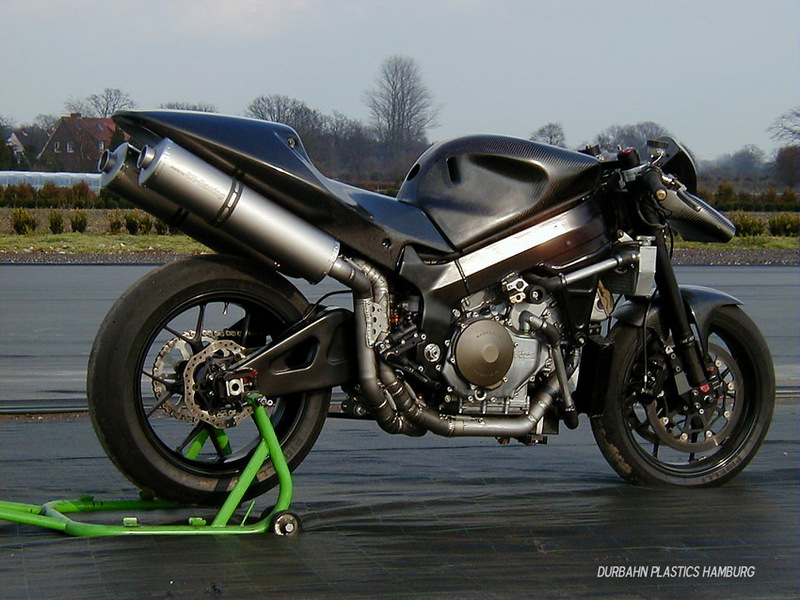 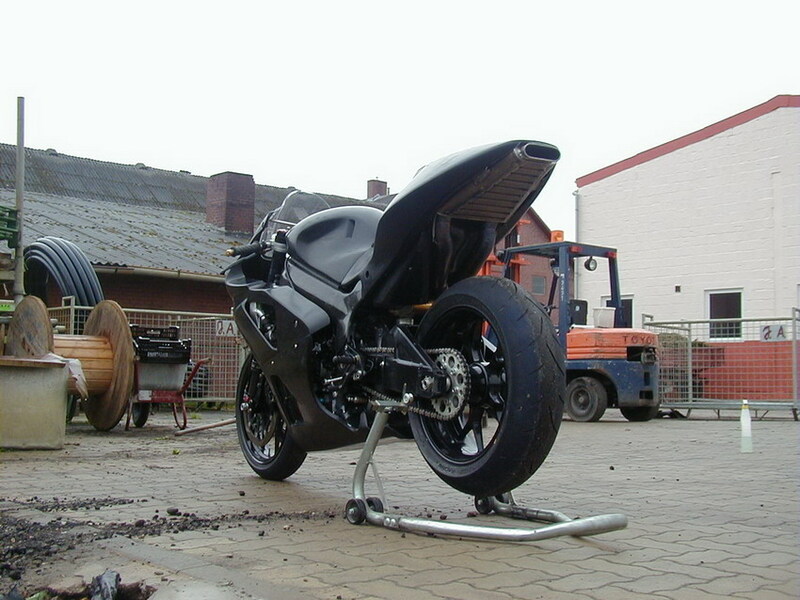 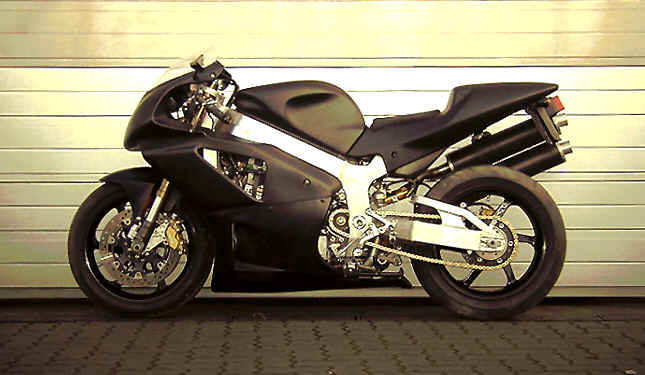 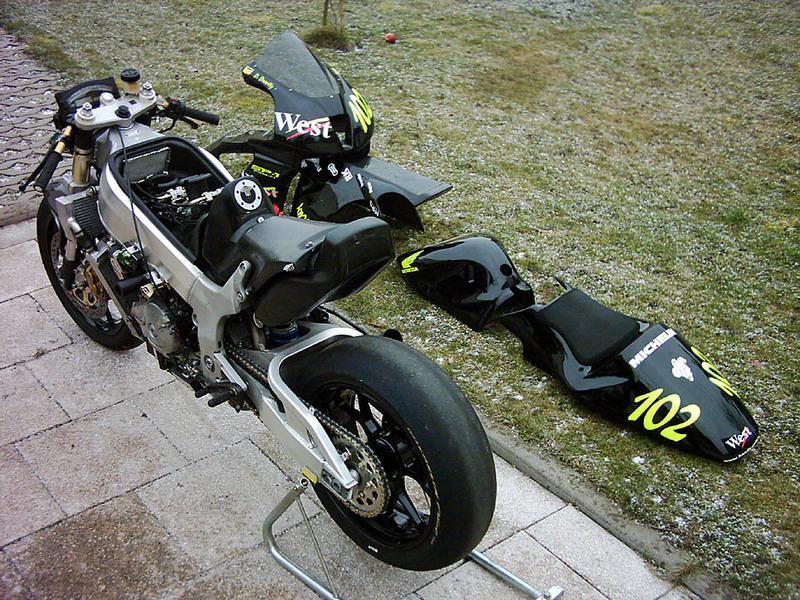 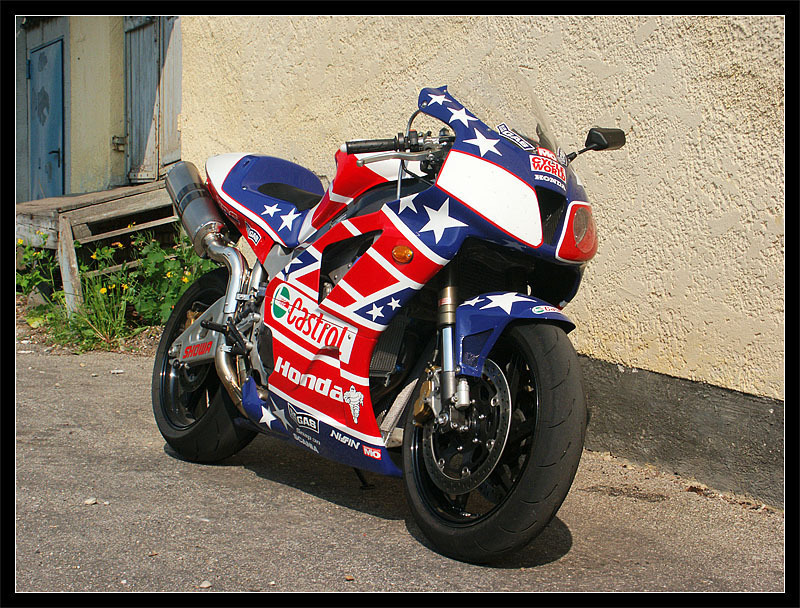 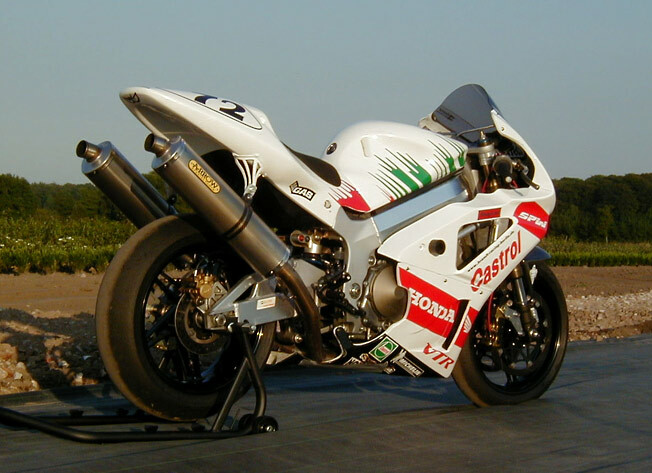 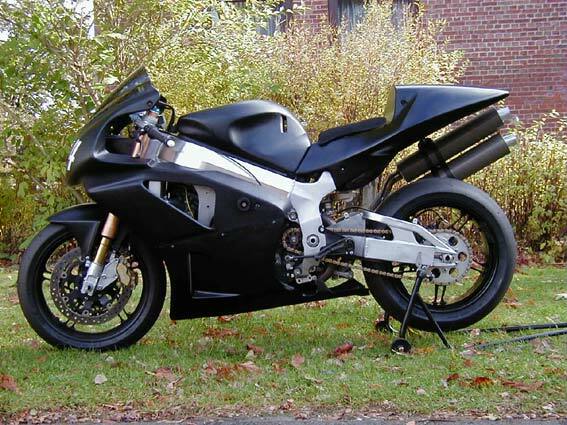 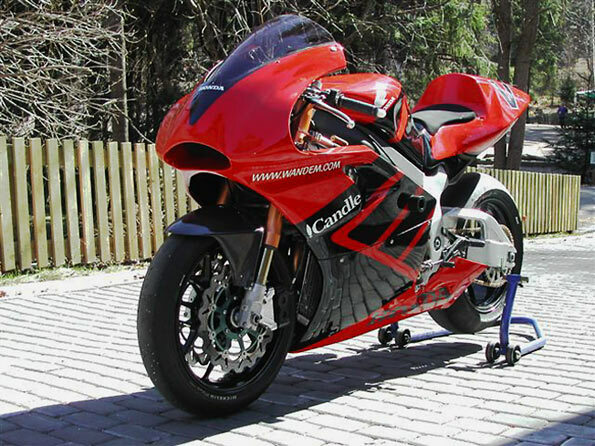 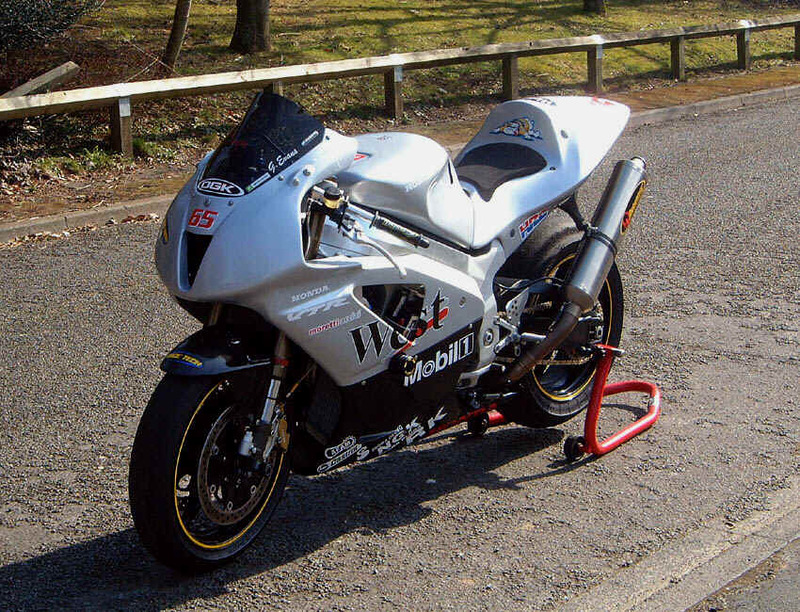 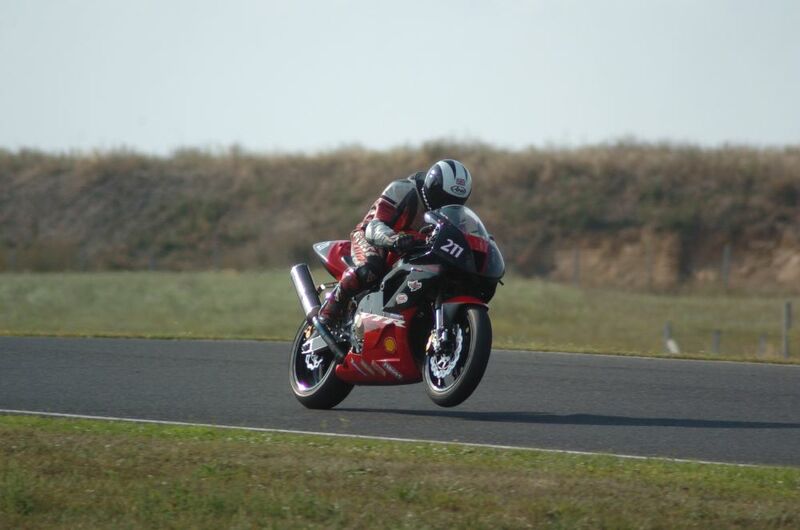 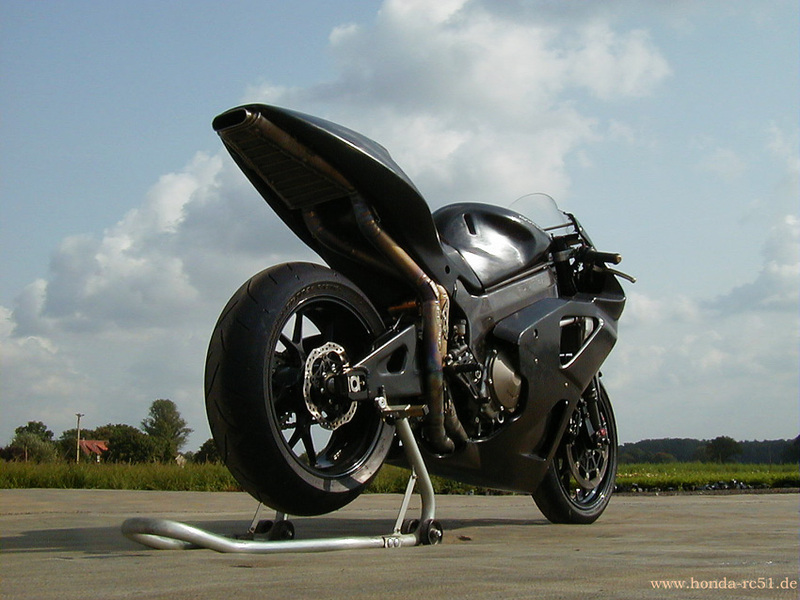 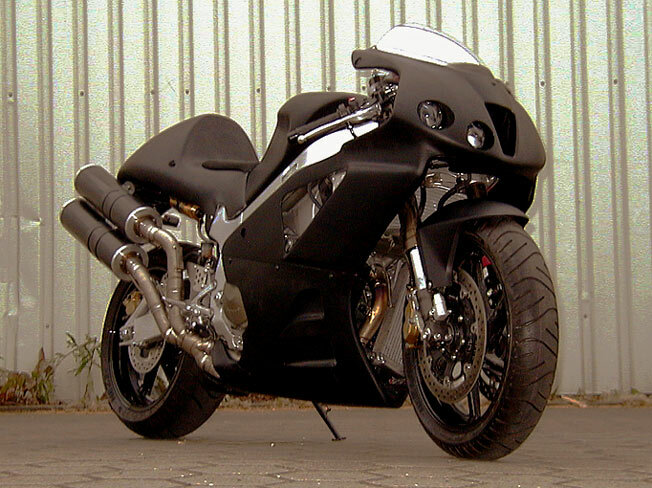 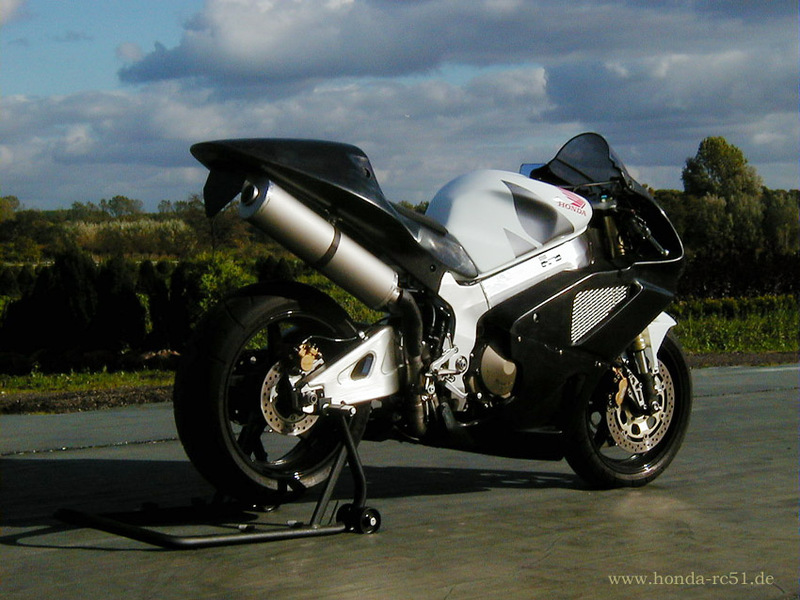 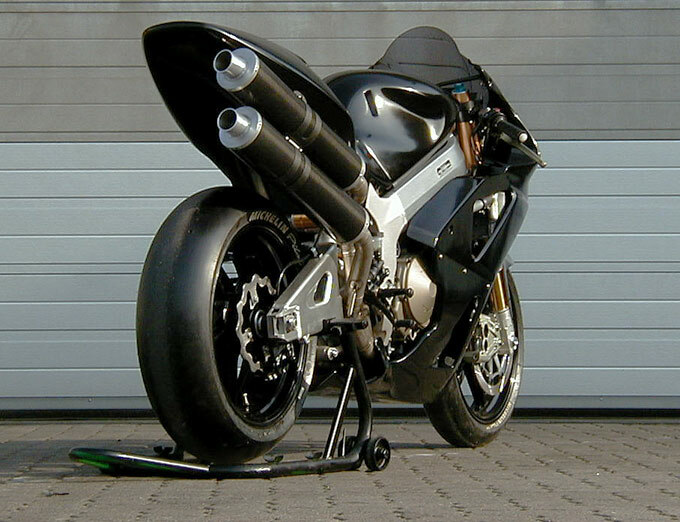 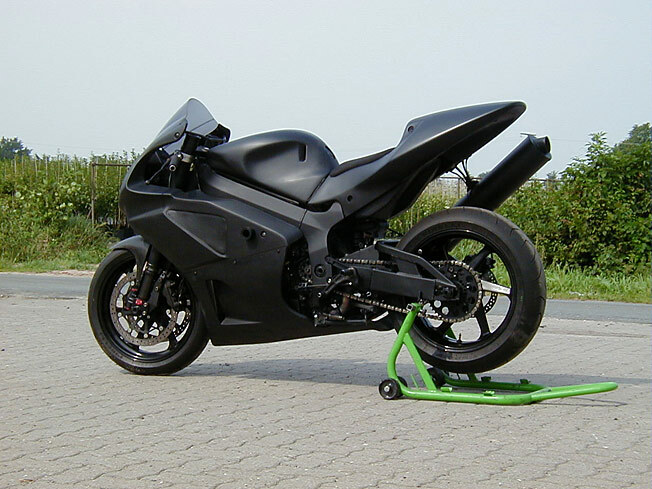 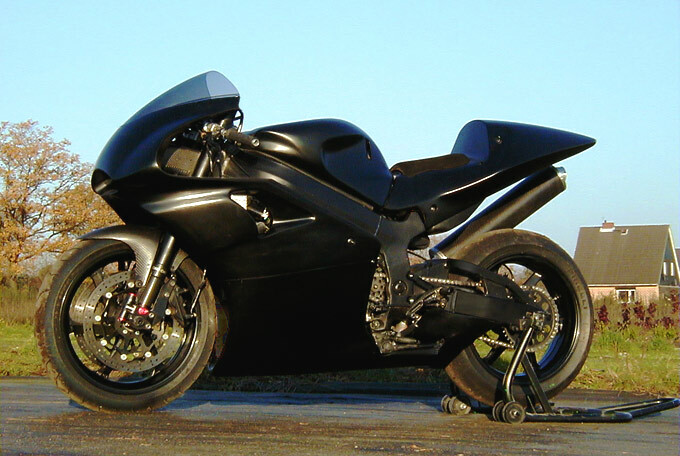 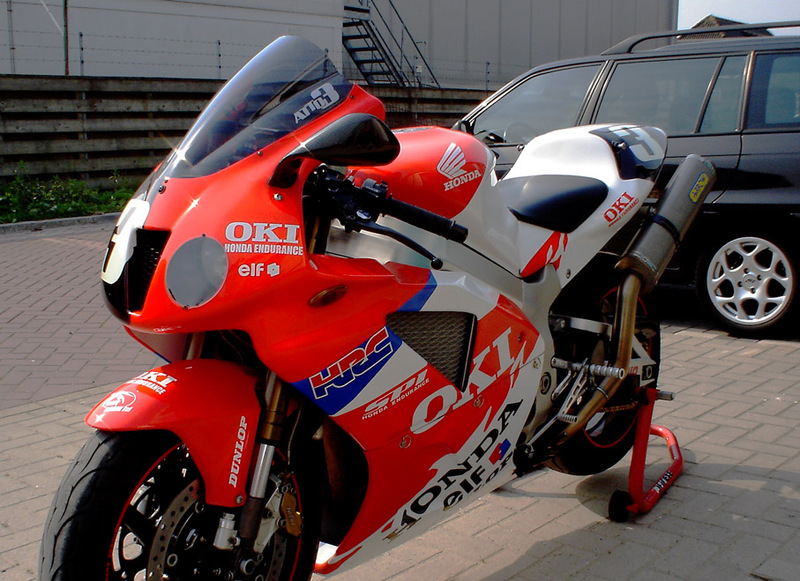 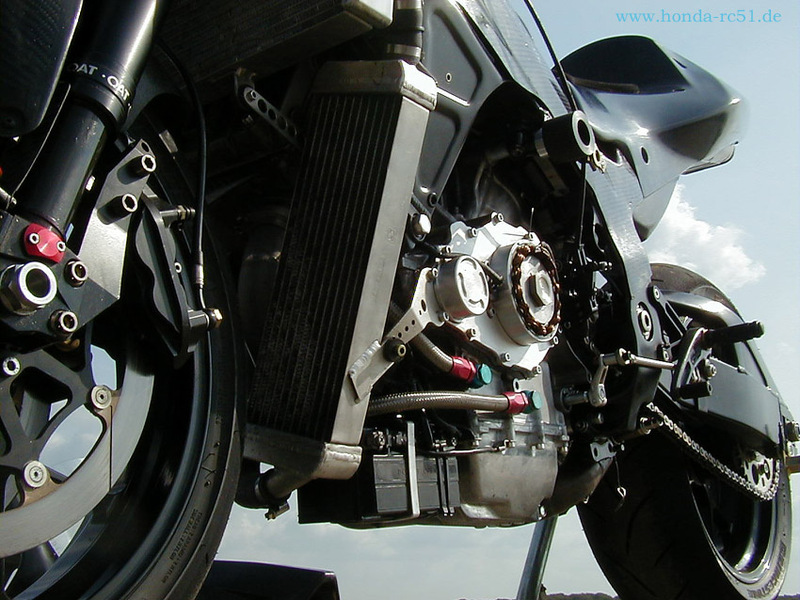 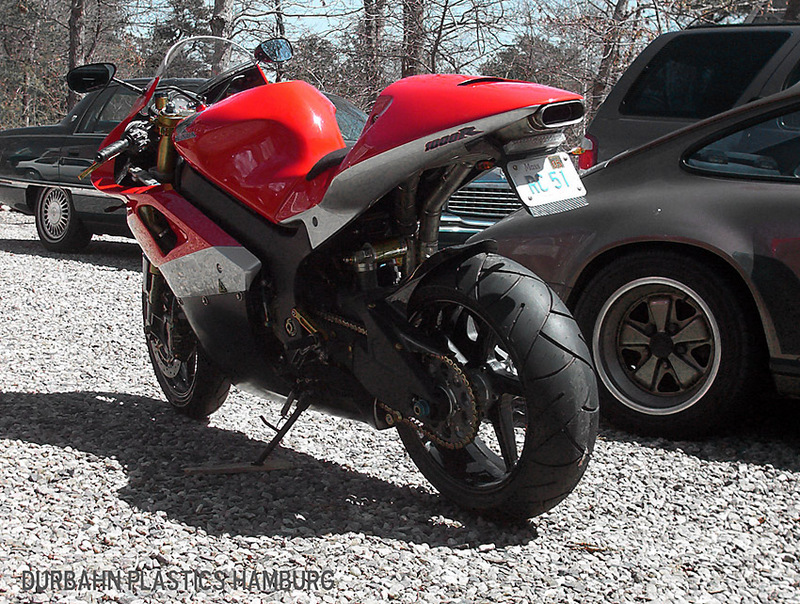 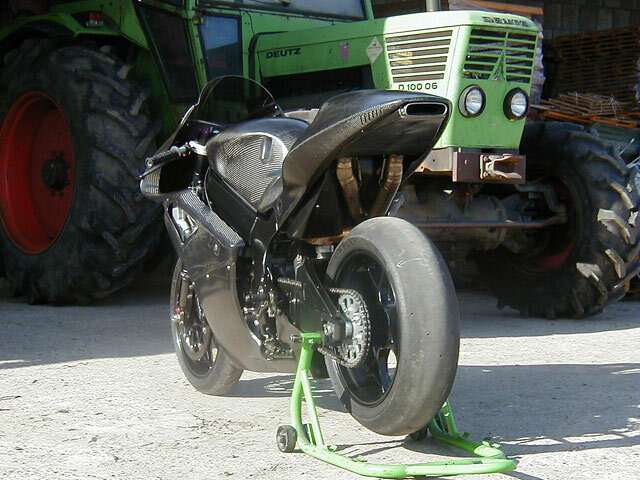 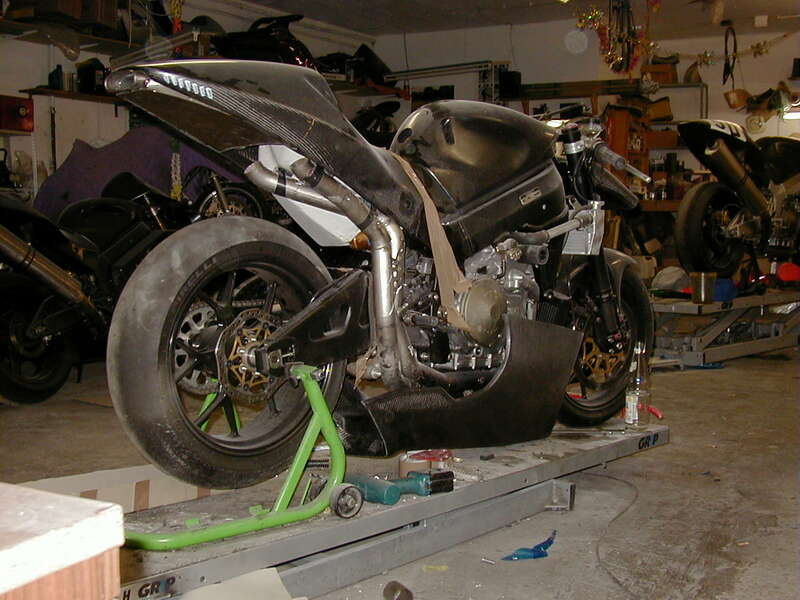 George K. from USA send me his Swingarm to fab a special underseat Exhaust therefore , unfortunately I only have the work on a model as Pics here , maybe George you read this and send me some Pics of your entire Bike ? 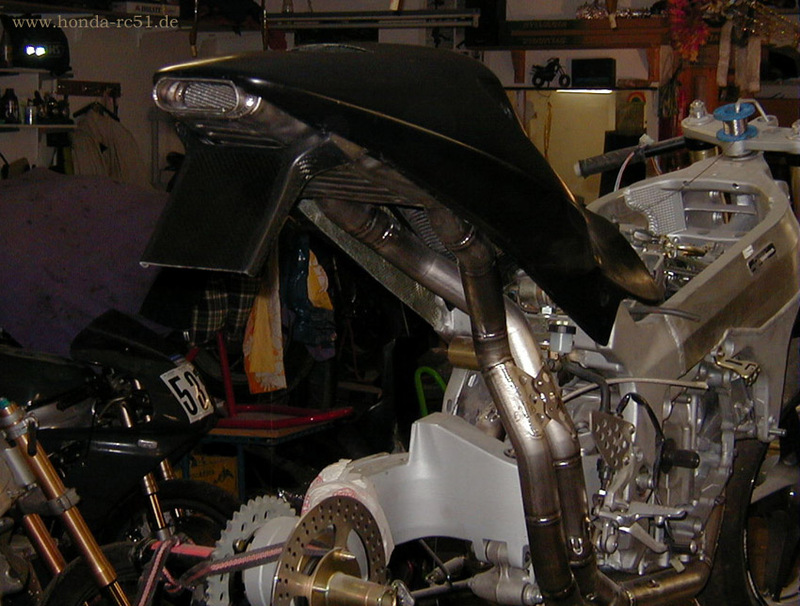 Christians Bike , underseat Fueltank Assy , in1-Acra , PVM Mag-Wheels..etc. 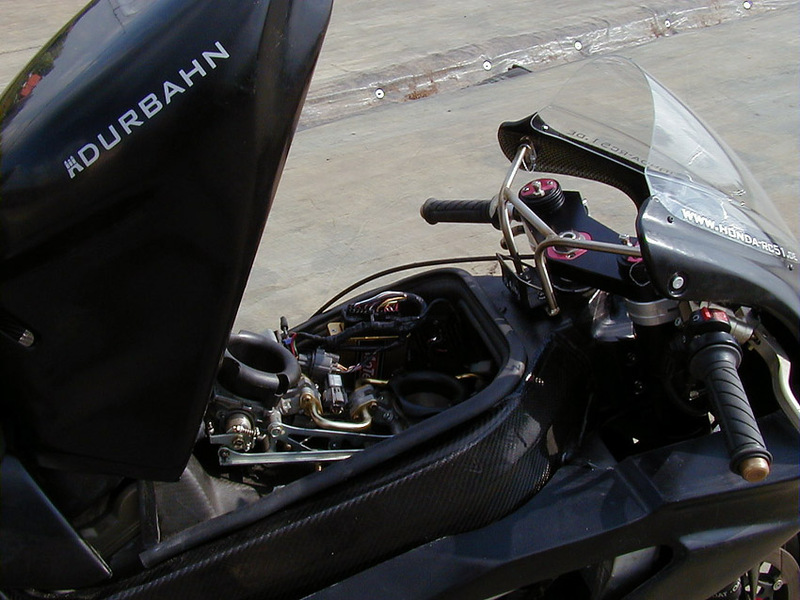 Rene's Bike (Berlin) ,Underseat Fueltank-Assy. 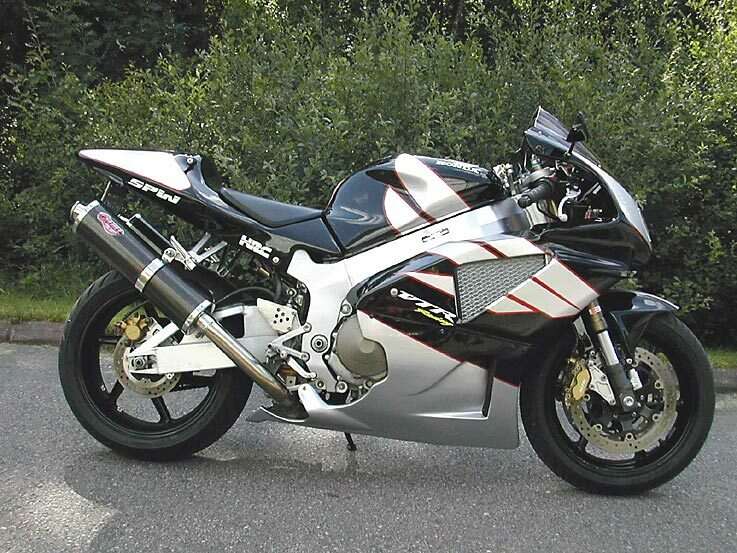 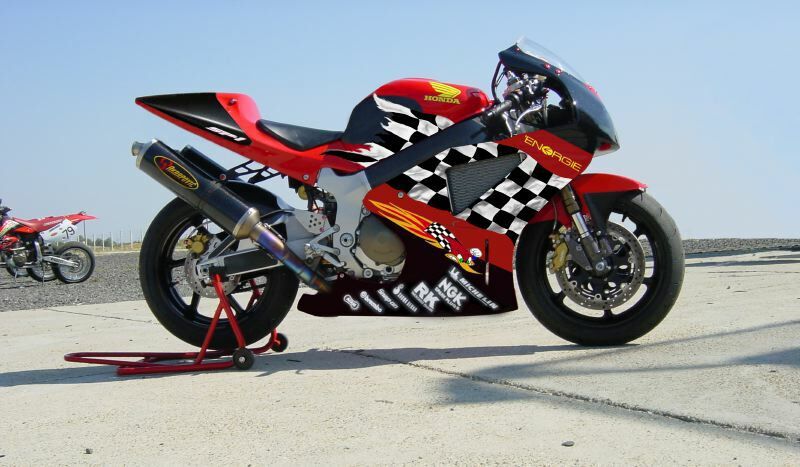 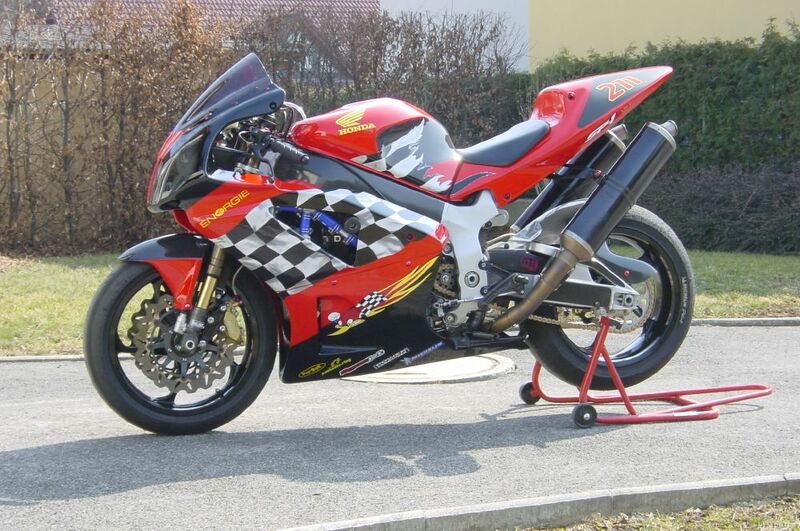 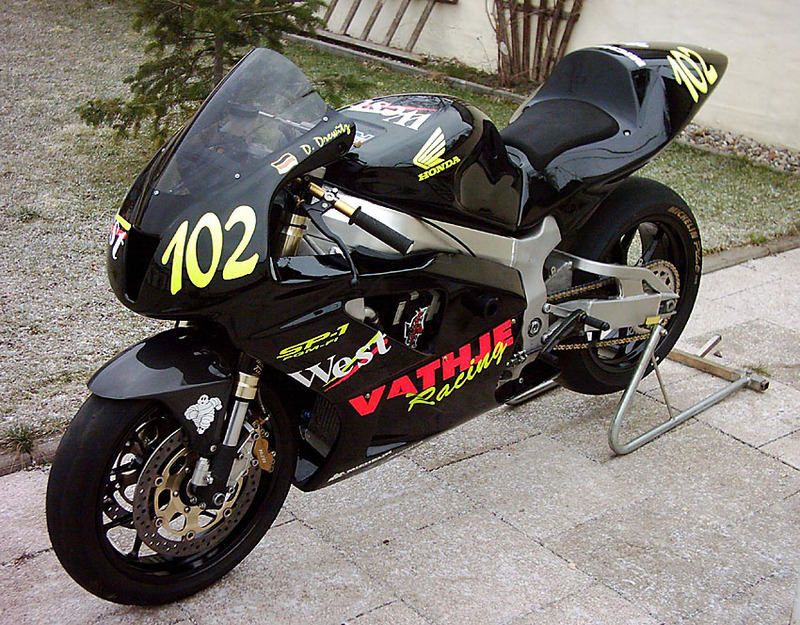 Garry from UK sent me a Picture of his Bike , a nice ,unobtrusive paint scheme I think . 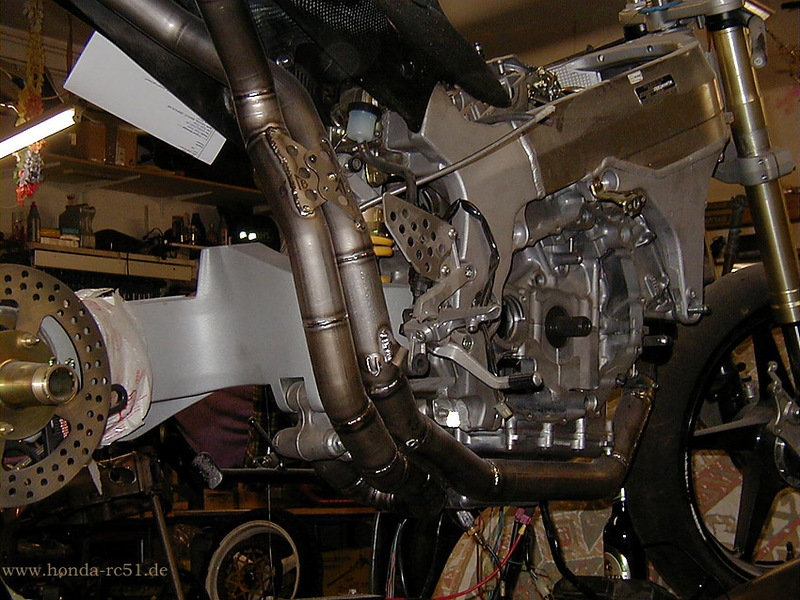 Below's the full Assy with Underseat-Fueltank, etc. 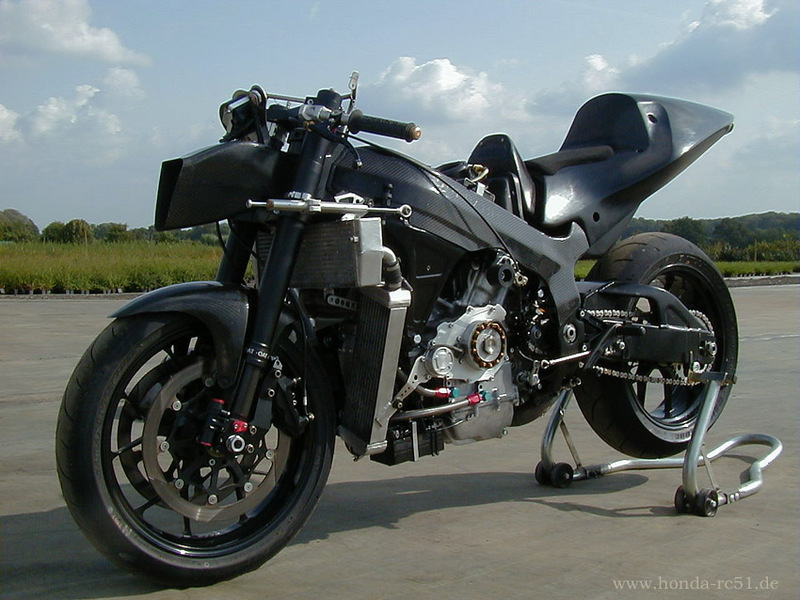 ,which you only detect on 2nd view . 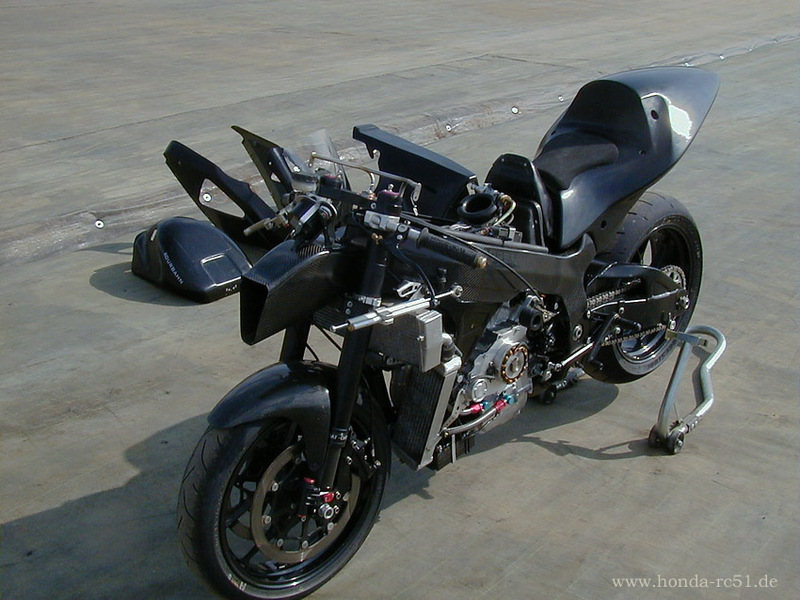 The Bike from Joachim G. Austria , you may notice different stages of rebuild in the Pics, but a Bike always rebuilt with love to details . 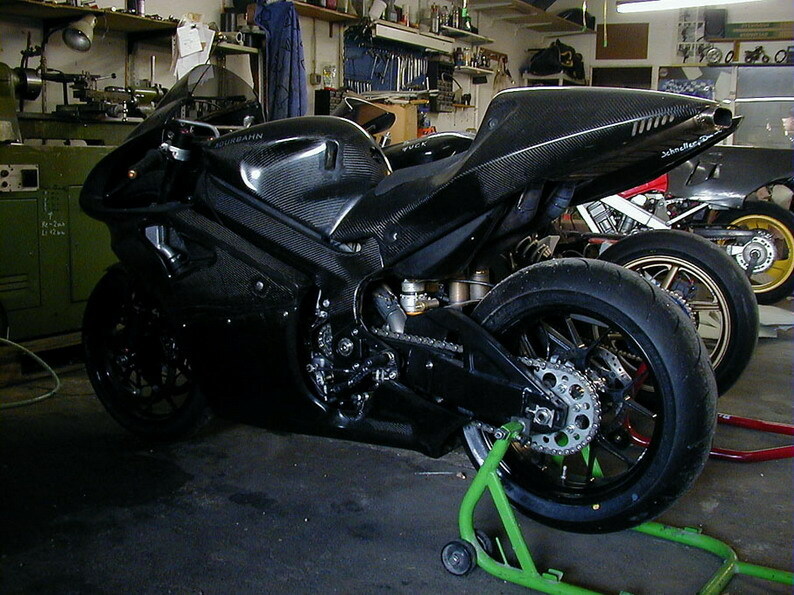 reworked my bike from Engine to Dash, to wire-harness to Fairings . 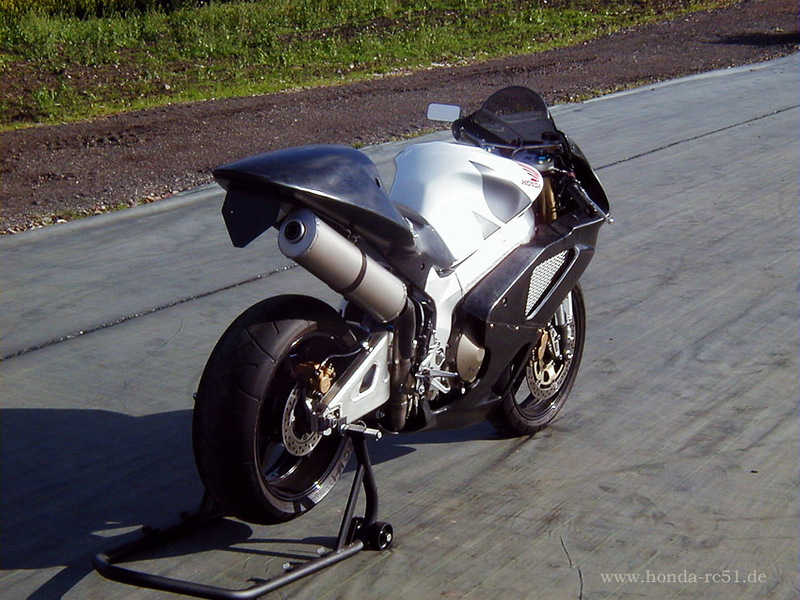 Switched back to HRC-Fairing, even it's superlight made from Carbon I decided to go for black gelcoat, unobtrusive , have enough Carbon sight around here in the workshop, and thought it might be a good Idea of understatement , to ride the Bike in kinda "normal " clothes . 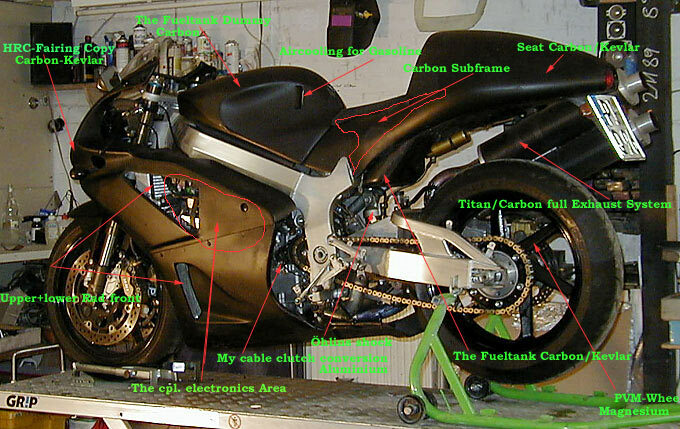 The details , explanations the way I've cleaned up the Bike - soon .